I've got a duo of cards for you today for Simple Sunday! I made these a few days ago as I wanted a masculine thank you for my dad to give along with some chocolates to say thank you for all the lifts to and from work he gave me over the last few weeks! I'm so grateful for all he does! I thought I'd keep my design geometric, clean and simple. 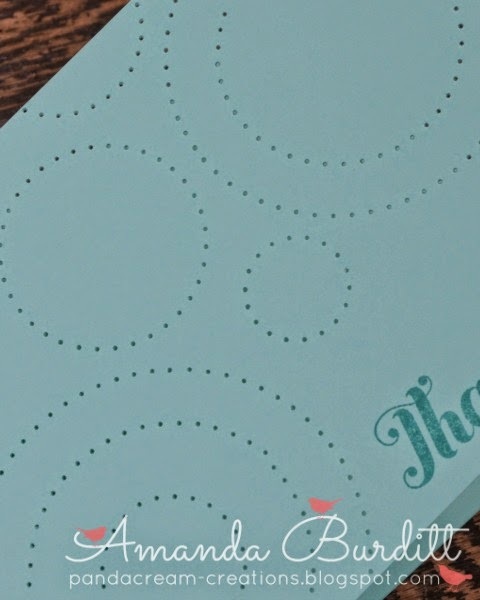 I just love the simplicity of the paper pierced circles. It was so easy to do and looks so pretty. 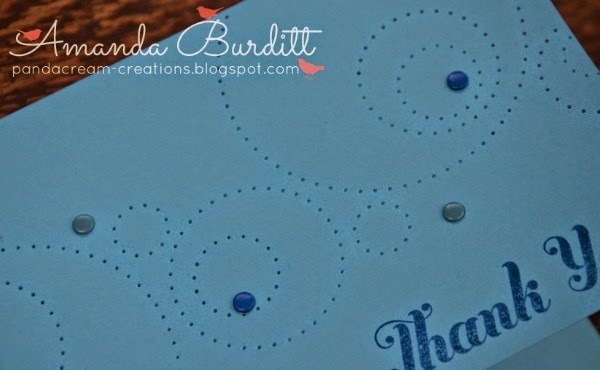 If you have difficulty keeping your paper and piercing template in one place I'd suggest trying a little washi tape to hold them together, that way you don't have any fear of the template slipping! Really love the pierced circles - the photo doesn't really do it justice! I decided I liked the first one so much that I'd do a second one. This time however I wanted to try off setting the circles rather than centring them as on the first design. I went a little more crazy on this one and decided to add a few candy dots too! Fun huh? Personally I think I prefer the first design but both turned out really well. Especially nice for a one layer card. This kind of design really doesn't require lots of materials, is inexpensive and easy. I'd totally recommend giving it a go! Hope you are having a happy and blessed Sunday!